Chances are you’re here at our website because you desire to enroll your child in a Martial Arts program. Your reasons most probably relate to: Physical Fitness, Self-Confidence and Self-Discipline. This is why it is crucial to make the best possible decision for your child today. I often hear from parents of how they initially signed up for other Martial Arts programs which offered little more than a false sense of security after an entire year of expensive monthly Belt Promotion Ceremonies. If your child currently happens to be in a similar program please contact us right away. The Vagner Rocha Martial Arts Academy kids Brazilian Jiu Jitsu program is the safest and most relevant training your child can receive. All children are welcomed and encouraged to come train at our school regardless of their current strengths and abilities. We pride ourselves in building self confidence, physical fitness and self discipline in every child. We do so through a rewarding and caring environment, which leads to most of our students continuing their training into adulthood. We invite you to bring your child for a free trial class or just to come and watch. While there, we welcome you to speak with the other parents and get their opinions about our program. We are a FAMILY owned and operated academy. Our director, Vagner Rocha, is present for all classes. Please contact us with any questions or concerns, we look forward to hearing from you! Do you have a hyper teen, who lacks focus? Do you need your teen to get in shape but they don’t feel comfortable in team sports? 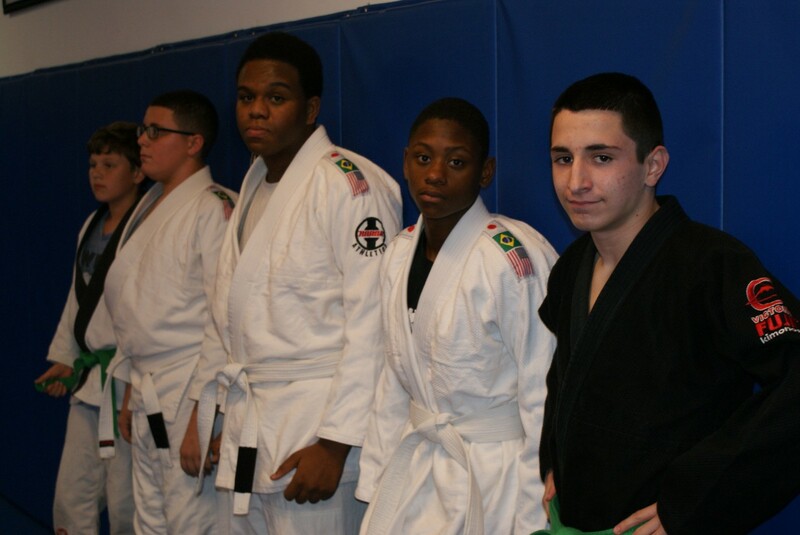 If so, then you’ll love what our teen Jiu Jitsu classes can do for your teenager. Brazilian Jiu Jitsu isn’t just a great activity for high-energy teens, it is also an incredible workout. It doesn’t matter if your teenager is sedentary or a varsity athlete, Brazilian Jiu Jitsu classes at VRMA Academy get teens burning off unused calories in a flash, while giving them an incredible cardio workout they won’t get anywhere else! Our Brazilian Jiu Jitsu classes will give your teenager the opportunity to learn an invaluable self-defense system at the hands of a Jiu Jitsu master. A 3rd degree black belt instructor, Vagner Rocha, along with his assistant instructors, will teach your teen all of the core moves found in Jiu Jitsu. 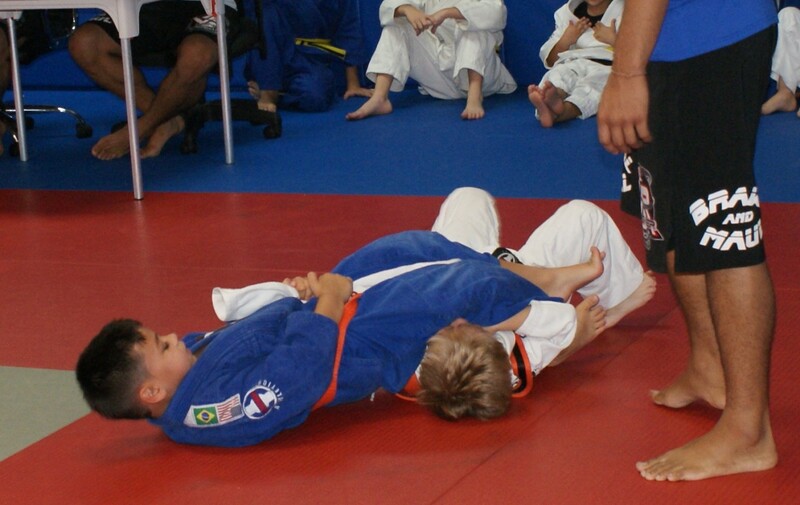 Put the bullies on warning by giving your teen Jiu Jitsu classes! It’s not only the ultimate self-defense system, but a great workout and is packed with personal benefits which will stay with your teen throughout his or her life. Improve resistance to peer pressure. Have the confidence to face down the most intimidating bullies and even diffuse a potential fight. Learn important leadership skills to help them in life. Whether a complete beginner, or already on the way to becoming a Jiu Jitsu black belt, VRMA’s Brazilian Jiu Jitsu classes promise to deliver a full suite of benefits you and your teen are bound to love! We offer not only the best martial arts classes for teens, but the best workout they can find anywhere! At VRMA, we follow the rank system set forth by the International Brazilian Jiu Jitsu Federation (IBJJF). Students begin as white belts and, as their skills improve, progress through to green before moving to the adult belt system. ULTIMATE SELF-DEFENSE AND SO MUCH MORE! Made famous in the U.S. by Royce Gracie when he early dominance in the UFC. Martial artists and regular people alike started to seek out the few Brazilian Jiu Jitsu academies that existed at the time and learn these valuable skills for self defense. Now Brazilian Jiu Jitsu is one of the fastest growing martial arts in the world. Whether it’s for fitness, self defense, confidence or competition, we offer some of the best programs available. Jiu Jitsu is not like a gym membership, a student must have quality instruction, a respectful environment and a dedicated group of students. A quality Jiu Jitsu academy is all about the environment and culture, all of which starts with the Head Instructor, who must be there to teach the students, mentor them and provide the support to make a great environment. His students show vast improvements in a short time, winning and placing top positions in many tournaments across Florida. This is a direct result of the curriculum and programs prepared by Master Rocha, as well as the students own discipline and hard work. Not a competitor? Just want to learn something new or challenge yourself? We can help you too! All students begin their training in the beginner classes to learn basic principles of Brazilian Jiu Jitsu. Each student will receive the individual attention needed to improve their technique to the next phase of training. Master Rocha attends EVERY class and is hands on when correcting mistakes and monitoring every student. VRMA Academy holds Belt Ceremonies twice a year in order to reward students on their progress within the program. 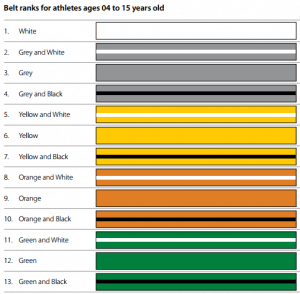 The adult belt system begins with white belt, with hard work and dedication and student’s skills improve and they can be promoted to a new belt. There are few things as rewarding in life as earning that next belt in Jiu Jitsu. Truly dedicated practitioners who stay at it can eventually earn the rank of black belt, the most respected rank in the most respected martial art in the world! A great Jiu Jitsu master once said “A black belt is a white belt who never quit”. Click here to get a Free Class to start your journey!